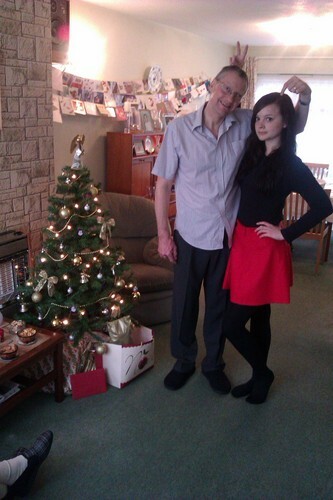 Me and My Dad - Christmas دن 2011!. I'm not ready to let go of Christmas yet... HD Wallpaper and background images in the Leyton Family<3 club tagged: xloverlyyx christmas. I'm not ready to let go of Christmas yet.. This Leyton Family<3 photo might contain مہمان خانہ, ڈرائنگ روم, چولی, and براسری.